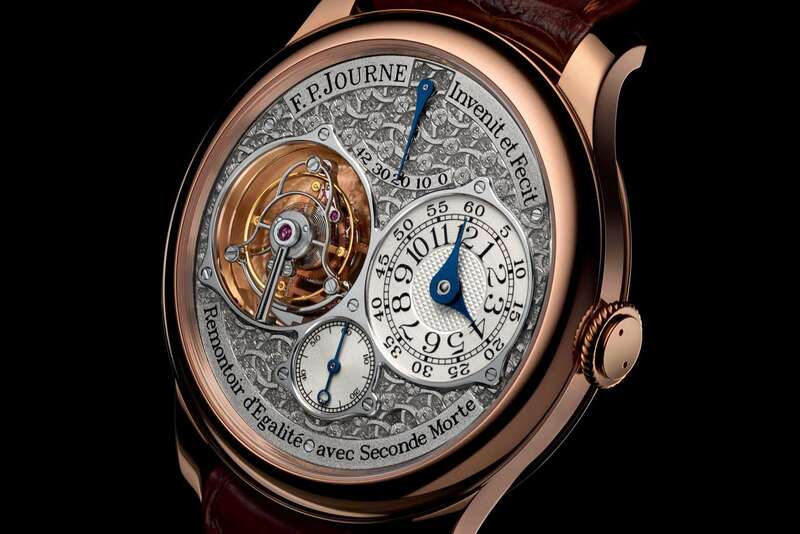 The tourbillon is one of the most demanding watch complications. It was invented in the late 1700s by Abraham-Louis Breguet, a watchmaker born in Neuchâtel but who spent his working life in Paris. In a mechanical watch, one of the causes of imprecision is gravity, which affects the moving parts to different degrees according to their position. In the tourbillon, the escapement and balance wheel operate within a continuously rotating cage so that the differential effects of gravity are averaged out. This was particularly important in Breguet’s day because pocket watches spent most of their life in the vertical position. Today, wrist watches are by nature more mobile, and so the tourbillon is more a demonstration of watchmaking virtuosity than a real necessity. But there is no doubt that it is one of the most dazzling accomplishments of mechanical engineering. 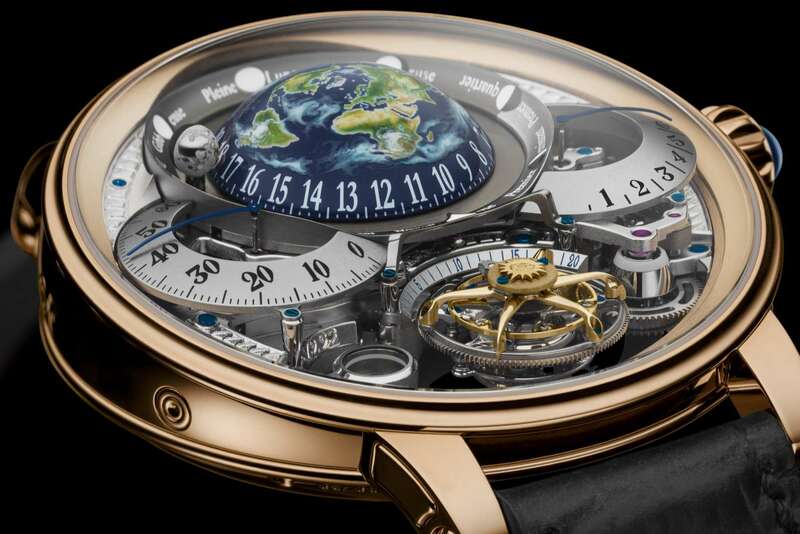 To give an idea of its complexity and miniaturization, the tourbillon assembly alone comprises about 70 parts, but its total weight is about a fifth of a gram, which can be compared to the weight of a single drop of rain. Our selection is in decreasing price order. 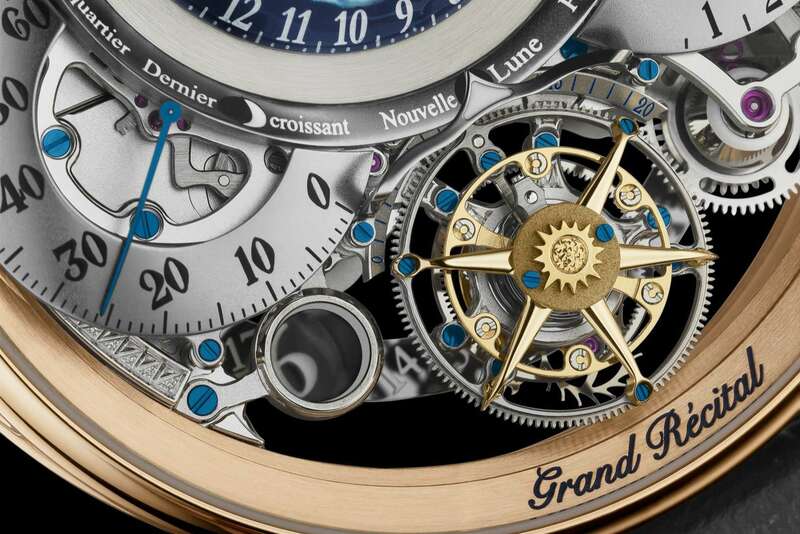 The Grand Récital 22 mirrors the movement of the earth and moon as they around the sun, which is symbolized by the carriage bridge of the flying tourbillon. The hand-painted globe rotates anticlockwise once every 24 hours, and the spherical moon orbits the earth once every 29.53 days. The time is shown on two scales, the hours at the base of the globe, and minutes on a retrograde scale to the left. Other indications are power reserve to the right of the globe, and the date, shown at bottom left through a circular aperture. On the reverse side, there is a perpetual calendar, which takes account of the different lengths of months, as well as the leap year cycle. The watch is a limited edition of 60, available in red gold or platinum. Price approximately 435,000 Swiss francs. 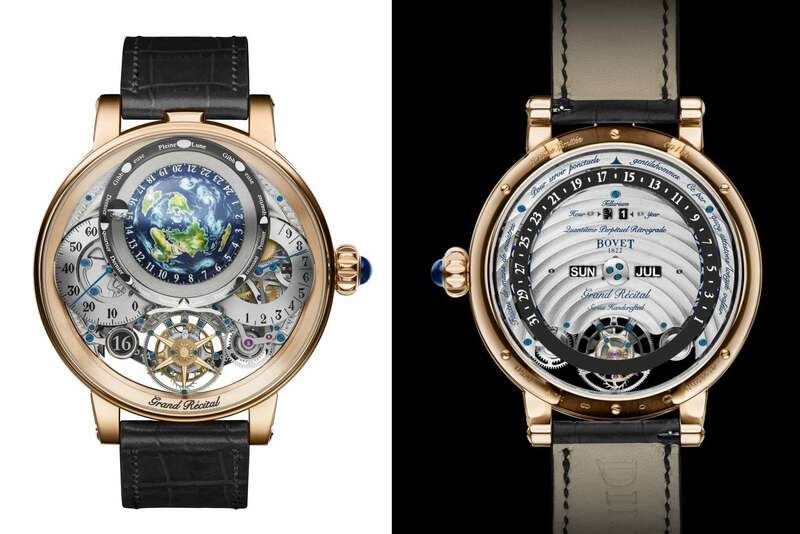 A limited edition of 20 pieces, the Régence Circulaire has three complications: the tourbillon, a constant-force device, and dead-beat second, so that the second hand at 6 o’clock doesn’t have a constant sweep but moves one second at a time, making it easier to take an instantaneous reading. 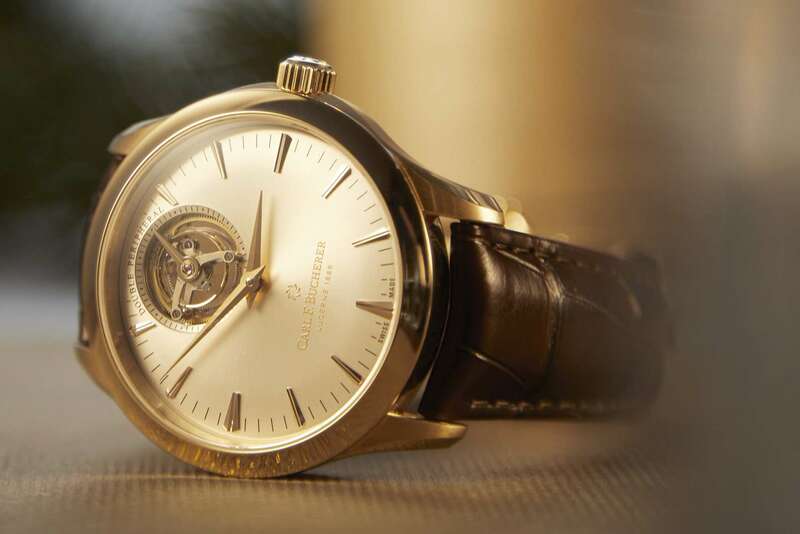 The case and movement are entirely in pink gold, and the white gold dial is hand-engraved with an intriguing decorative motif, a tribute to traditional 18th-century watchmaking. The timepiece is available at F.P. Journe boutiques and Espaces – including that on the second floor of the Brian & Barry Building, Via Durini 28, Milan. €171,000. This beautiful watch has a dial of deceptive simplicity. 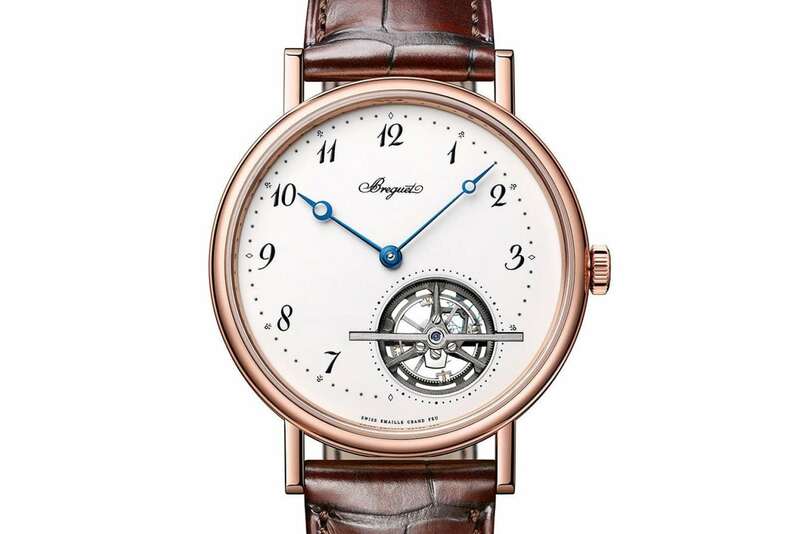 In fact, the hour and minute hands have a pivot that is slightly off-centred, a feature that was used by founder Abraham-Louis Breguet. The tourbillon is also placed asymmetrically, on a grand feu enamel dial made using a 100-year old stock of enamel powder. 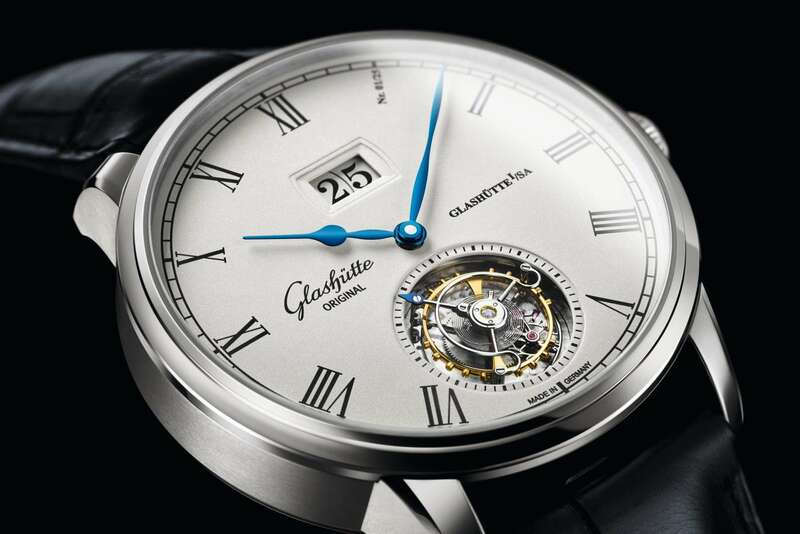 The watch is just 7.45 mm thick, and the movement, visible through the sapphire caseback, has a peripheral rotor powering the automatic winding system. The case is available in rose gold or platinum. Price €157,600 in platinum, €143,700 in rose gold. 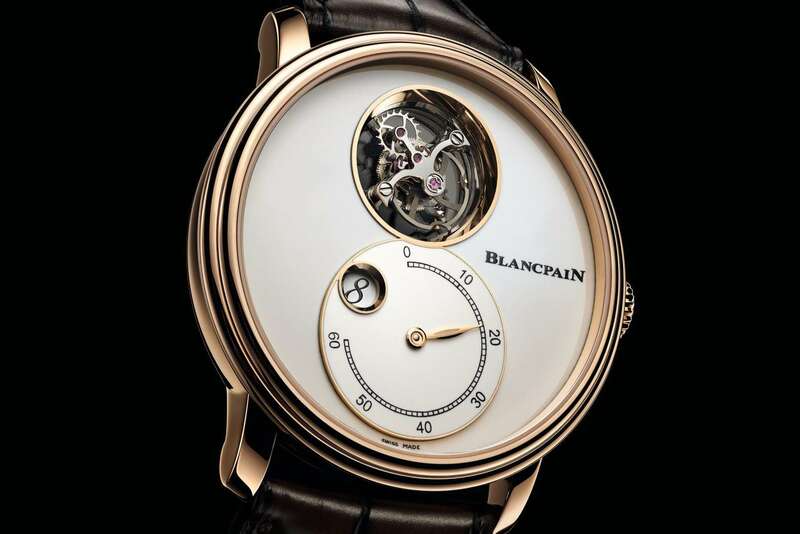 Blancpain was the first company to create a wristwatch with a flying tourbillon, in 1989. The new version presented in 2018 pairs the tourbillon with jumping hours and retrograde minutes, in a watch of beguiling simplicity. Visibility of the tourbillon is enhanced by the absence of an upper bridge, and with the lower bridge in transparent sapphire. The dial is in grand feu enamel, with gold frames around the hours window and the tourbillon well. The transparent caseback reveals the beautifully hand-guilloché-decorated movement, on which power reserve is indicated by a guilloché disc. 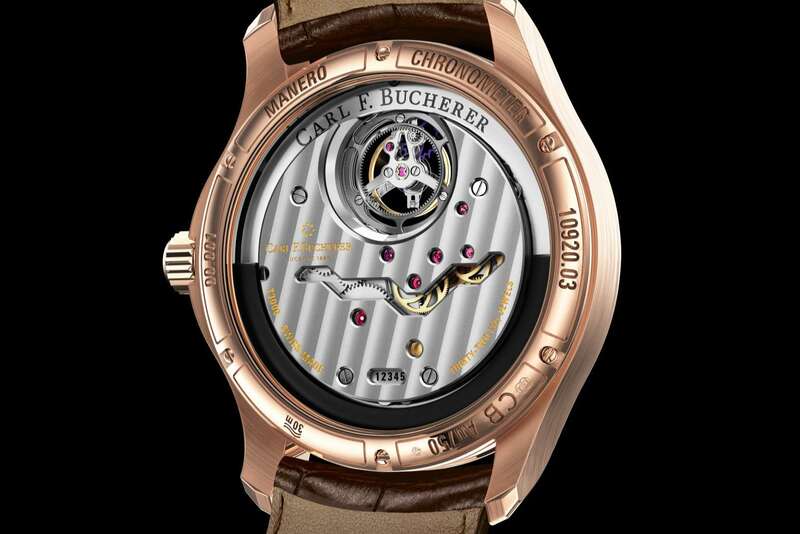 Price 139,000 Swiss francs in red gold, 169,000 in platinum. 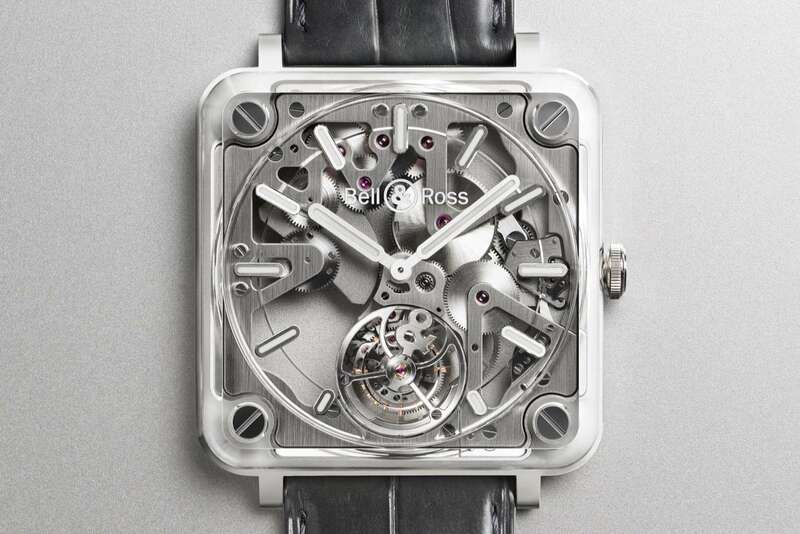 One of the ongoing battles in the watch industry is the race towards ultra-thin watches. 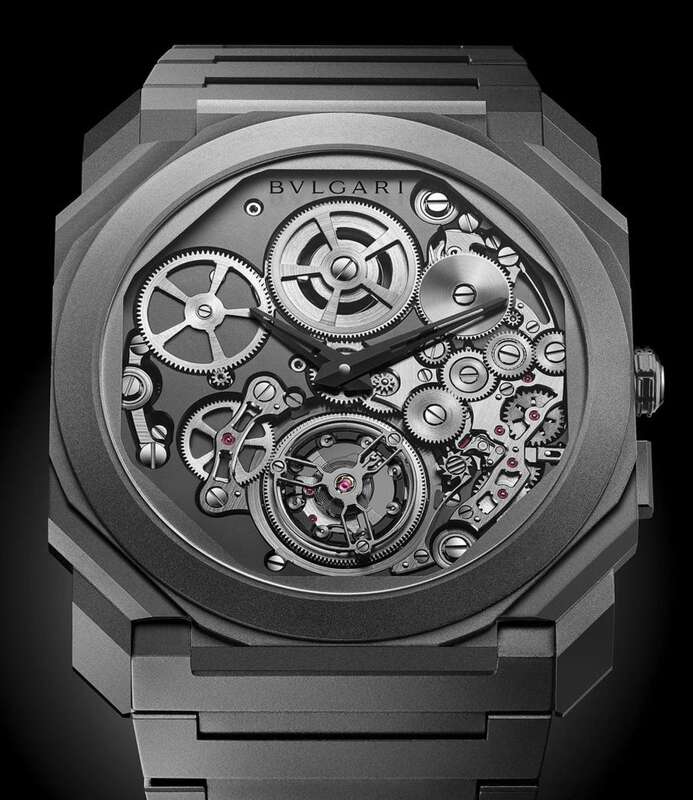 The main players are Piaget and Bulgari, and the latter company, which combines Swiss precision and manufacturing with Italian creativity, has taken the lead with the Octo Finissimo Tourbillon Automatic that has claimed two records in a single watch: the thinnest tourbillon watch in the world, and the thinnest automatic watch. Just 3.95 mm thick, this is an incredible feat of micro-engineering. 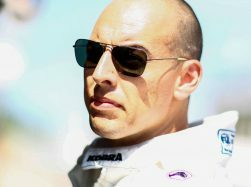 Limited edition of 50 pieces, €125,000. This watch was designed to reveal as much of the mechanism as possible, with a case formed of two transparent sapphire plates, the flying tourbillon at 6 o’clock – which incorporates the “&” motif that is an important part of the brand’s iconography – and a micro-rotor that powers the watch. The watch is very modern in appearance, with just the rubies adding a note of colour within the geometry of the skeletonized bridges with their vertical brushing. Limited edition of 50 units, price €69,000. Available at the second floor of the Brian & Barry Building, Via Durini 28, Milan. This elegant, minimalist watch incorporates a lot of original design. The new movement has the brand’s signature peripheral oscillating weight, that improves the look of the watch on the caseback side. 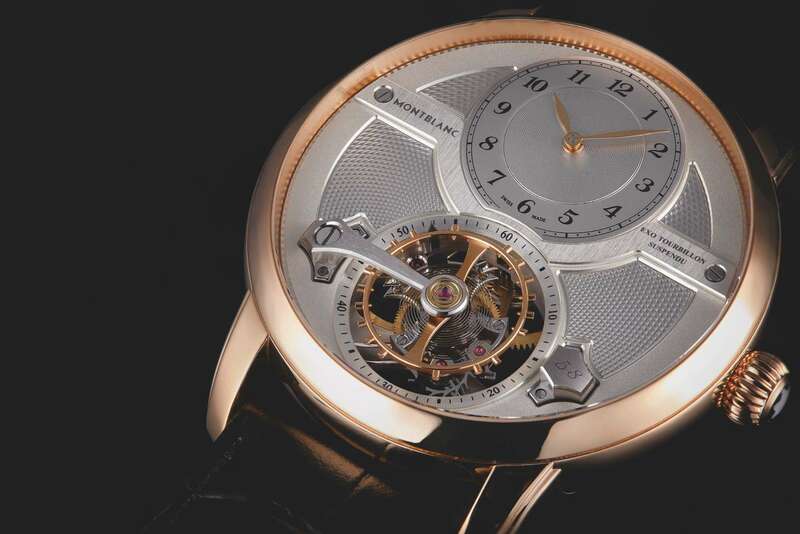 But the most remarkable feature is the tourbillon, that seems to float in the transparent well. This is made possible by another “peripheral” design feature, with the tourbillon cage supported by three ceramic ball bearings. In a pink gold case with matching hands and hour appliques, the watch has a lot of elegance. 64,500 Swiss francs. The Laureato Flying Tourbillon Skeleton by Girard-Perregaux combines the sporty heritage of the original 1975 Laureato design, with its octagonal bezel and integrated bracelet, with an open-worked dial, a tourbillon regulator and an automatic movement, artfully skeletonized to offer a good view of the mechanism. 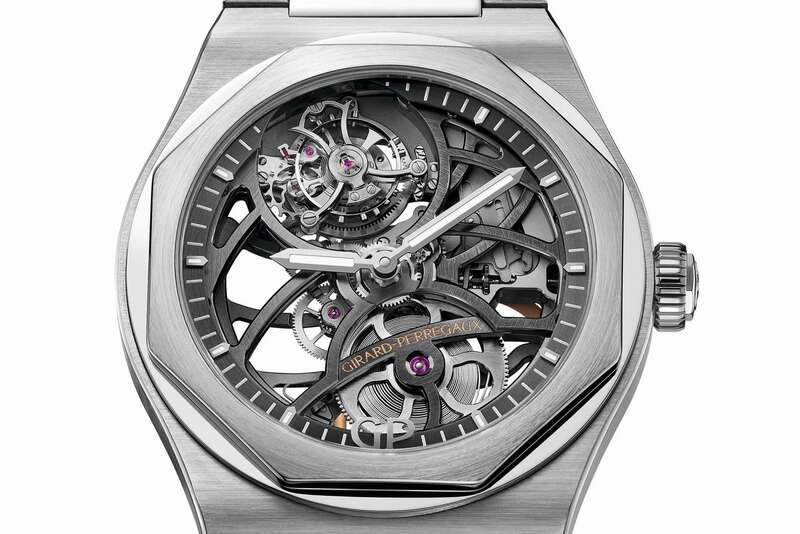 The design highlights the unusual asymmetric position of tourbillon and mainspring, echoed by the skeletonized oscillating weight that neatly frames these two assemblies when seen through the transparent caseback. Price €131,000 in white gold, €166,000 in rose gold. Montblanc’s interpretation of the tourbillon is to make the balance larger than the tourbillon cage, which heightens the theatrical effect of the complication. In this watch, the effect is enhanced by the one-armed tourbillon bridge, which holds the balance well above the level of the dial. 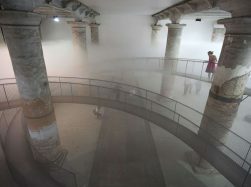 Price €120,000. This watch is pure classicism, with its Roman numerals, silvered dial and the exquisite flying tourbillon. It is a limited edition of 25, with the edition number beautifully displayed in place of the numeral 1. The watch is dedicated to Alfred Helwig, who invented the flying tourbillon in the 1920s and was a teacher of watchmaking in Glashütte for 31 years. It features the brand’s signature big date display. Price €102,500. 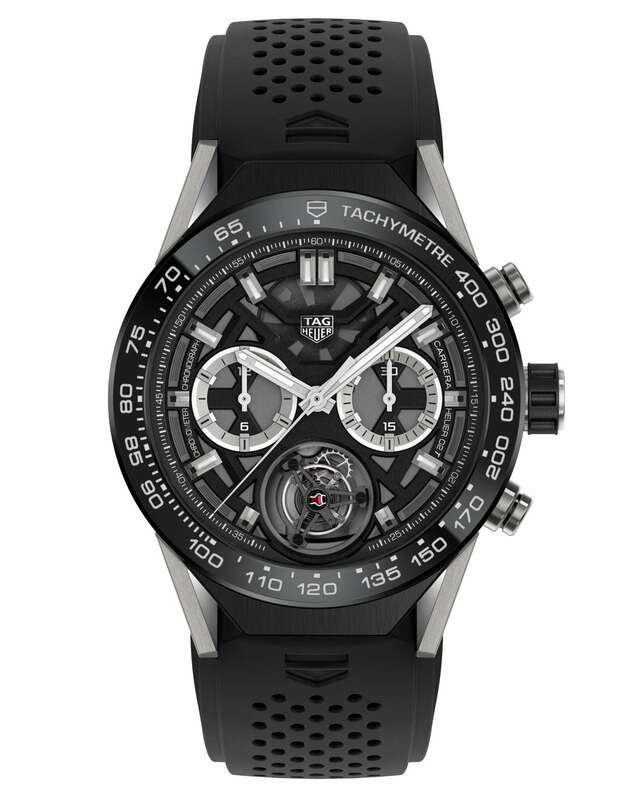 TAG Heuer is a company famous for its chronographs, and in this watch this function is combined with a tourbillon regulator, COSC chronometer certification, and a remarkable price tag: €15,250, currently the cheapest Swiss-made tourbillon watch. The case is in titanium with a ceramic bezel, and it is water-resistant to 100 metres.